Visionary Voices: Looking for a Content Management System, WordPress is the Word! Looking for a Content Management System, WordPress is the Word! Check out websites, blogs, and articles on web platforms these days and you can’t help but notice that the industry’s content management darling appears to be WordPress - and with good reason. 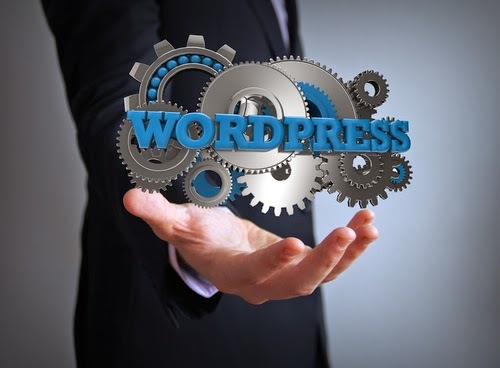 WordPress was originally designed as a blogging platform, but it has quickly grown in popularity as a content management system among firms seeking a powerful but friendly web development solution. And while it can seem daunting to create a website using WordPress, there are many reasons why you just might want to consider its use. Open Source: First and perhaps foremost, WordPress is Open Source software. It’s free (yes, free), and you can use it to build to any sort of personal or commercial website. For the record, WordPress uses PHP/MySQL (again, Open Source scripting language and database, respectively). And did we mention it’s free? User friendly for easy revisions: WordPress makes website administration easy – no need to know HTML or any other programming language to edit pages, add or delete content or change layout. Initial website setup is easier than most other website development tools, but many clients call us to eliminate any learning curve they may face. Best Blog: WordPress originated as a blog platform, and still retains its claim to fame as a great, simple, feature-rich blogging tool. It’s still the web’s most popular blogging system, with more than 60 million sites to its credit. Themes: If you’re concerned about the limited themes offered on many web templates, fear not. WordPress has more than 1,000 themes from which to choose, and there are also options to select “premium” themes. Go SEO: WordPress constructs its platform with simple layouts, permalinks and easy linking – all attractive features that make it search-engine friendly. Additionally, WordPress has available plugins that support Google’s effort to catalogue and rank content. More Plugins: And speaking of plugins, WordPress offers a plethora of plugins that can do just about anything you need. Documentation: WordPress has a comprehensive library of documents available for user education. It also is well represented by tutorials on YouTube and other websites that offer tips. Scalability: Perhaps the most attractive feature of the WordPress platform is its flexibility. It’s completely scalable, because it is robust, offers the option to add almost any plugin to meet your growing needs, and even provides a library of themes for a periodic website update. WordPress embodies the best of a CMS: completely free, simple to use, robust in design, SEO friendly, generous library of available website themes, ample plugins for scalability…the list goes on. If you’re still not sure that WordPress is right for you, email us and we’ll be happy to share our experiences and offer guidance.